Right now, Qualcomm and MediaTek are competing against each other to bring their best in the mid-range segment. MediaTek has already launched the 12nm Helio P60 which is a really capable processor (not as good as the SD 660), and today, Qualcomm announced its first 700-series chipset, the Snapdragon 710. 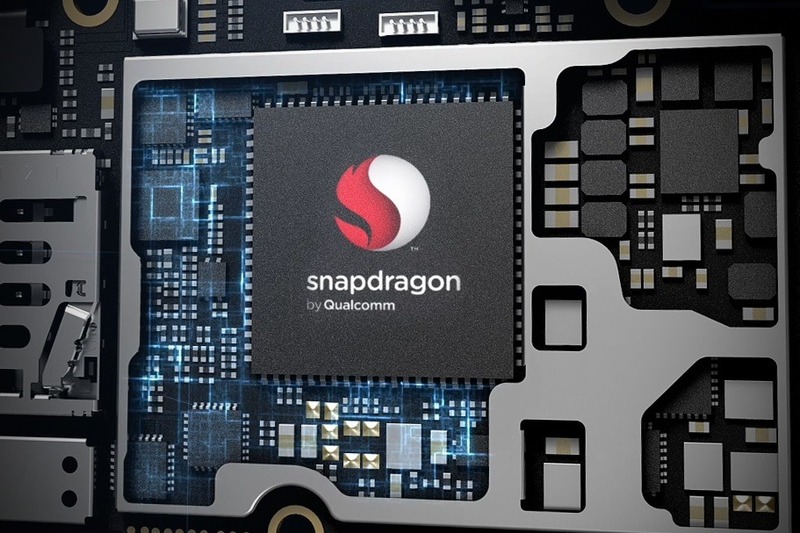 It is the successor to the Snapdragon 660 and is the first mid-range processor from the company built with the 10nm process. This makes it sit just below the Snapdragon 845 and 835 regarding the performance (at least on paper). The Snapdragon 710 Mobile Platform is the first in the newly defined and highly significant 700-tier, offering technologies and features previously only available in our premium-tier mobile platforms. By incorporating key AI capabilities and performance advancements, the Snapdragon 710 is designed to transform our customers products into the ultimate personal assistant, enhancing critical everyday consumer experiences, such as high-end camera features that will benefit from on-device high-speed AI processing, without sacrificing battery life. One of the highlights of the 710 is the multi-core AI Engine that is designed to deliver up to 2x overall improvements for on-device AI applications compared to the previous generation. The battery life is improved a lot, and Qualcomm claims that the 710 powered phones are going to have 40% more battery efficiency (gaming and 4K video playback) as compared to the current mid-range beast from the company, the Snapdragon 660. The Snapdragon 710 also features new Kryo 360 CPUs which result in 20% faster performance, 25% faster web browsing, and 15% faster app launch times as compared to the Snapdragon 660. Talking about power, the chipset supports Qualcomm Quick Charge 4+ which can charge the battery from 0 to 50% in just 15 minutes. 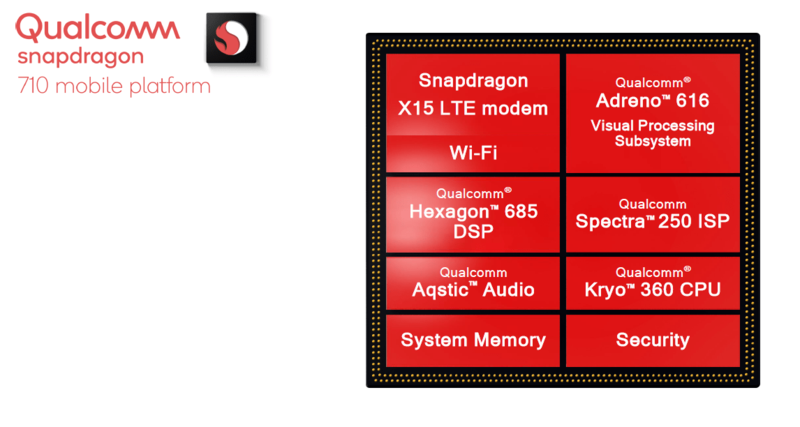 The Snapdragon 710 has the X15 LTE modem with peak download and upload speeds up to 800 Mbps and 150 Mbps respectively. Yes, it is not as fast as the X20 LTE modem on the Snapdragon 845, but that’s something that we expect for a mid-range processor. Qualcomm has said that the phones powered by the Snapdragon 710 processor can be expected in Q2 2018. In fact, a report from XDA suggests that at least two Xiaomi phones (codenamed ‘Sirius’ & ‘Comet’) will launch with this chipset.